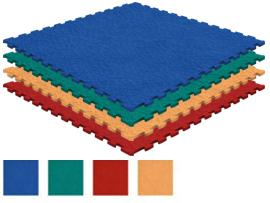 With all the usual PaviPlay characteristics, its texture and extra resistance permits use barefoot or with appropriate footware. The PaviPlay ReAct system goes through rigorous testing to insure the tiles meet Head Injury Criterion (HIC). 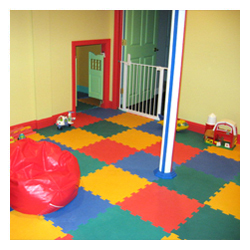 Latex & PVC free, thus making for a safer environment. 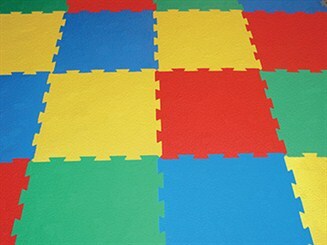 PaviPlay is manufactured with safe and sanitary material, protecting against fungi and bacteria. Waterproof and stain resistant, simply vacuum and mop. Tiles fit together like a jigsaw puzzle. 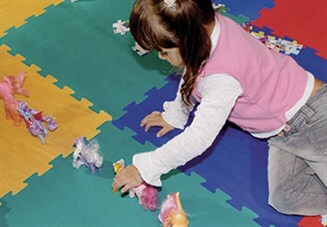 Assembly is so easy that a play surface can be constructed anywhere in a matter of moments!